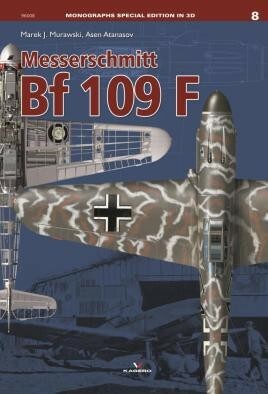 In the autumn of 1938 the design team of the Bayerische Flugzeugwerke in Augsburg began work on a development version of the Messerschmitt Bf 109 E, which at that time was entering service as the primary fighter of the German Luftwaffe. Prof. Willy Messerschmitt, the company's founder, and Robert Lusser, chief of project planning, sought to develop an improved version of the aircraft which could outperform earlier variants by means of an aerodynamically refined airframe and a more powerful engine. The new fighter, designated Bf 109 F, was to be powered by the Daimler-Benz DB 601 E engine, a development version of its successful predecessor, the DB 601 A, used on the Bf 109 E. The new DB 601 E was an inline engine with direct fuel injection to the cylinders. Displacement was 3390 cm³ and maximum output at 17,750 ft (4,800 m) was 1,350 horsepower. This was a remarkable 23% increase in power3. The new engine was longer by 17.2 inches (452 mm), which necessitated a major redesign of the engine bearers and cowling. The ‘Friedrich' (German phonetic name for the letter ‘F') also incorporated a propeller spinner similar to that designed for the Me 209.